When I was growing up, my grandmother—a woman who wasn’t happy unless she was feeding someone—brought the most amazing thing into her house: a mail-order subscription to Gevalia Coffee. Not only did her subscription yield include what would become her treasured Gevalia coffee pot, but every month, she received three bricks of coffee. Two of the three flavors were always used, while the third—usually a hazelnut blend—collected dust until she could find someone to gift it to. In the 1980s, my Oma’s purchasing habits were quite ahead of the times. Were she still alive now, she would be bowled over by the array of products available through subscription purchases now. And it’s not just for coffee and other goods. IoT (Internet of Things) and SaaS (Software as a Service) have mostly moved away from the traditional payment model, where a customer makes a one-time product purchase, to the subscription-based business model. Interestingly, traditional journalism was one of the earlier subscription-based payment methods, but even that has witnessed many changes since the world’s first website went live in 1990. Slowly, print publications found their way to the internet, but in the rush to provide news as fast as possible, some online publications such as The Huffington Post disrupted the more traditional news providers. Regardless, journalism is transitioning into more of a service, where the quality is dictated by the readers themselves. Subscription businesses have exploded over the last several years. McKinsey&Company reports that over the last five years, the subscription e-commerce market has grown by more than 100% each year. With so many companies transitioning to a subscription-based business model, there is something for everyone—and the fascinating ‘world’s firsts’ show how creative businesses are when adapting to the subscription era. Here are nine of the ‘world’s first’ subscription businesses. With winter almost upon us, who’s not thinking about barreling down the slopes on a new board? Signal Snowboards has launched the Signal Subscription Service (SSS). Now snow enthusiasts can get access to new snowboards for as little as $35 a month, not much more than one might spend in the lodge toasting a good run with a few well-deserved beverages. One of the most exhausting parts of taking a trip happens long before Uber has shown up to take you to the airport—booking the trip. SurfAir takes that problem away for customers in California and the UK with the first ever subscription-based airline. For a fee—actually pretty nominal compared to last-minute flight bookings—customers have access to unlimited flights per month on private jets. There might not be free peanuts, but with the time you’ll save going through private terminals, you’ll have plenty of time to get your legume fix. Are you interested in trading crypto assets? Unlike trading stocks and commodities, which are traded through exchanges (and their time clock), trading cryptocurrency through INFLIV is available anytime, all the time. Instead of a trading fee, customers subscribe to the trading platform and can tap into huge profits (or large losses) on their own terms. Everyone dreams about winning the lottery but who wants to deal with the lines at the convenience store to pick up tickets? Jackpot.com launched earlier in 2018 to give customers first ever automatic access to 19 of the largest lottery games in the world. For a monthly subscription, you can play the German Lotto, EuroMillions and the US Powerball, without ever having to buy a ticket. Heading to a concert just got a little easier, if your favorite group is Metallica. The heavy metal band is selling their ‘Wherever I May Roam Black Ticket’ to faithful followers. For one subscription price, fans can get into any or all Metallica shows in their 30-date 2018-19 tour. If fans were to attend every show on the schedule, they would be paying less than $20 per ticket. ReefBox has jumped on the subscription box bandwagon with the first ever box for scuba divers. Each biodegradable box comes with fun scuba-related gizmos, safety gear and other accessories. The box also features information on popular dive areas, conservation updates and additional discounted offers on other products. As Molly Ringwald said, “jazz music is kind of like my musical equivalent of comfort food.” Co-founded by music legend Quincy Jones, Qwest TV is the world’s first streaming video subscription for all things jazz, from concerts and interviews to jazz-related documentaries and archived material. Shadesclub is a monthly subscription that brings new premium sunglasses to your doorstep for all occasions. Hand selected, comfortable, high quality sunglasses are sure to garner attention without costing an arm and a leg. Vive, a virtual reality system with room scale tracking technology, allows users to completely immerse themselves physically and emotionally with its product. With the world’s first VR app subscription, Viveport Subscription, customers have access to numerous apps. Now, with a small monthly payment, you can trek Everest, visit museums or head to Mars. Looks like there’s truly an app a subscription for everything! The days of ownership being the most important reason for a purchase have been overshadowed by the fact that customers place a higher value on a superior experience. 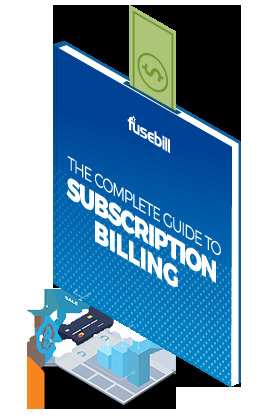 Subscriptions can be an easy way for consumers to reduce clutter while maximizing the paycheck. However, businesses know that even if a consumer has purchased a subscription, that doesn’t mean she is going to keep that purchase—if a customer isn’t happy, no matter the reason, he won’t hesitate to push the cancel button. The sting of high churn rates from dissatisfied customers has actually been around for a very long time. In a roundabout way, even the fundamental preventative nature of ancient Chinese medicine was based on the subscription-payment model. A doctor was paid when his client was keeping good health. If a patient fell ill, the doctor wasn’t paid until the patient was healthy again. While it’s not easy to put a price tag on the value of a customer experience, there are some interesting numbers out there. For example, the Harvard Business Review compared the customer experience and future spending of two like companies, one traditional and the other subscription-based. They found that customers who reported the best experiences spent 140% more than those who had a poor experience. Gartner, Inc. predicts that by 2020, all new SaaS businesses and 80% of historical businesses will offer a subscription-based purchase option. Businesses that focus on creating superlative subscription experiences are poised to reap the benefits of the subscription commerce era. Are you ready? Is there a specific idea you have that would roll well into a subscription-based business model?